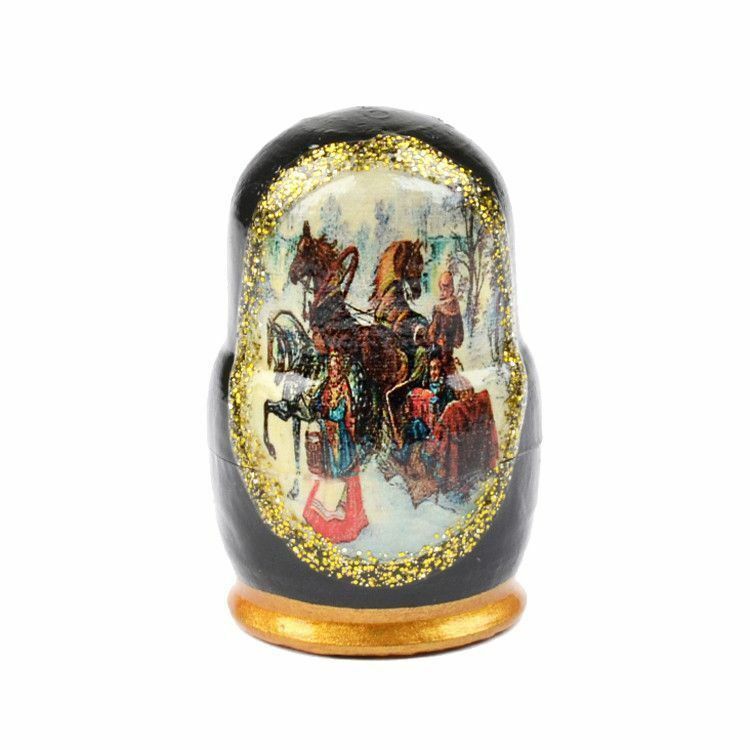 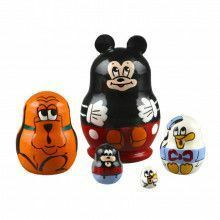 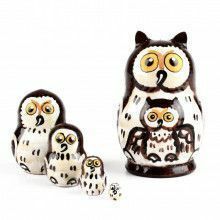 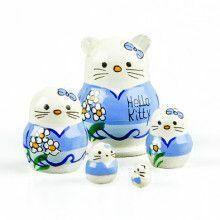 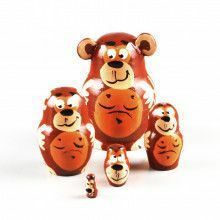 This Russian fairy-tales characters miniature nesting doll makes a fun and unique gift for collectors. 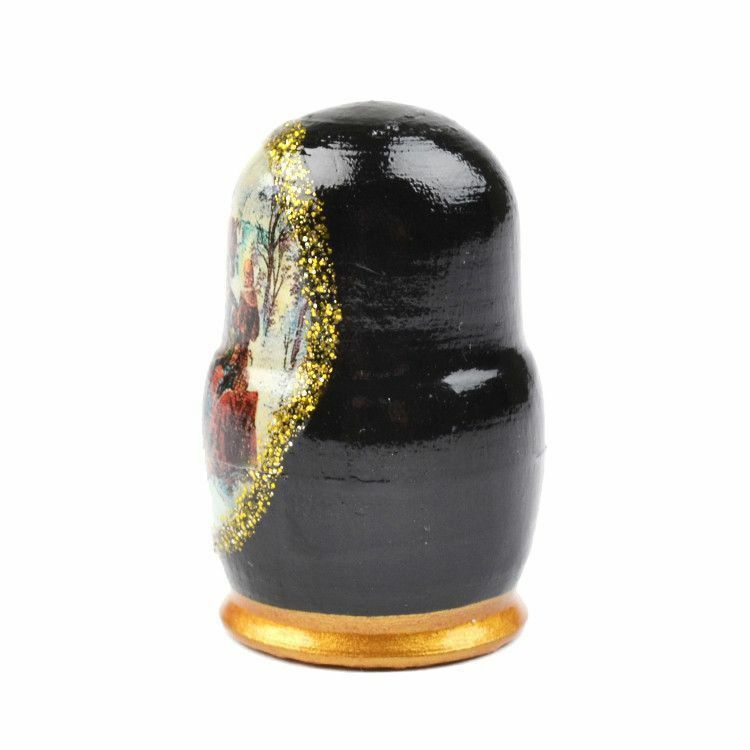 This particular nesting doll is not intended for children, for it is made up of very small parts. 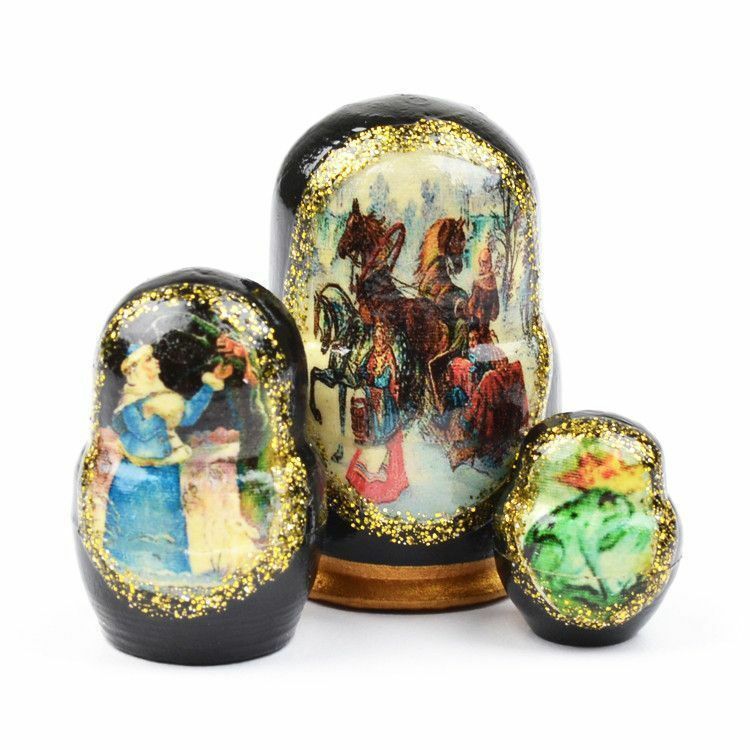 In fact, it is one of the world's smallest nesting dolls ever created in Russia! 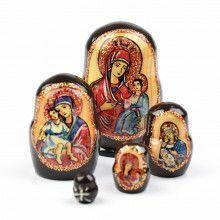 The largest doll in this set measures about 1 1/4" in height. 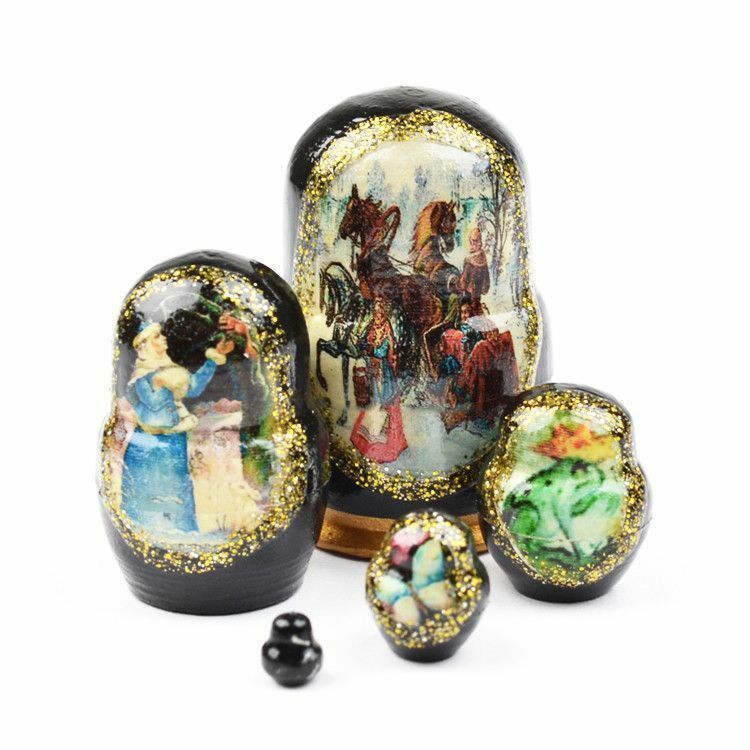 It is made from birch wood and hand painted black, a gold bottom, and an image of a troika surrounded by sparkles.